Very dark, transgressive and straightforward writing but very absorbing nonetheless. 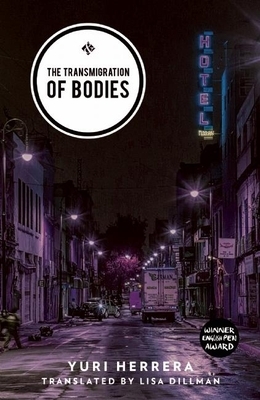 A Romeo and Juliet inspired novel that satirizes violence in Mexico, Transmigration tells the tale of The Redeemer trying to maintain peace between two families, exchanging bodies being held hostage in the process, in a plague-ridden city. Also translated from Spanish, published by And Other Stories (whose goals includes physically publishing literature most other publishers would consider too risky) and received financial assistance from English PEN'S PEN Translates! program (whose goals includes supporting authors globally and to campaign against the persecution and imprisonment of authors expressing their views). A plague has brought death to the city. Two feuding crime families with blood on their hands need our hard-boiled hero, The Redeemer, to broker peace. Both his instincts and the vacant streets warn him to stay indoors, but The Redeemer ventures out into the city's underbelly to arrange for the exchange of the bodies they hold hostage. Born in Actopan, Mexico, in 1970, Yuri Herrera studied Politics in Mexico, Creative Writing in El Paso and took his PhD in literature at Berkeley. His first novel to appear in English, Signs Preceding the End of the World, was published to great critical acclaim in 2015 and included in many Best-of-Year lists, including The Guardian's Best Fiction and NBC News's Ten Great Latino Books. He is currently teaching at Tulane University in New Orleans. Lisa Dillman teaches in the Department of Spanish and Portuguese at Emory University in Atlanta, Georgia. She has translated a number of Spanish and Latin American writers. Some of her recent translations include Rain Over Madrid; August, October; and Death of a Horse, by Andres Barba, and Signs Preceding the End of the World by Yuri Herrera.